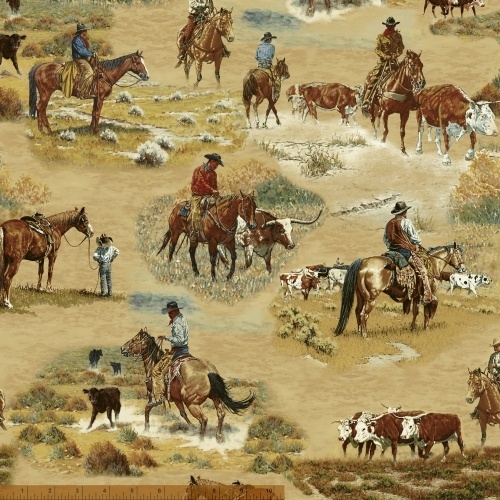 Head out to the Wild, Wild West with Kenneth Wyatt�s ranch themed collection with Windham Fabrics. With grazing cows and herding farmers, paisley prints and cowboy essentials, this kit and caboodle is exactly what you need for any western themed quilt or wall hanging. 15 SKUS - Delivery to Stores June 2016.